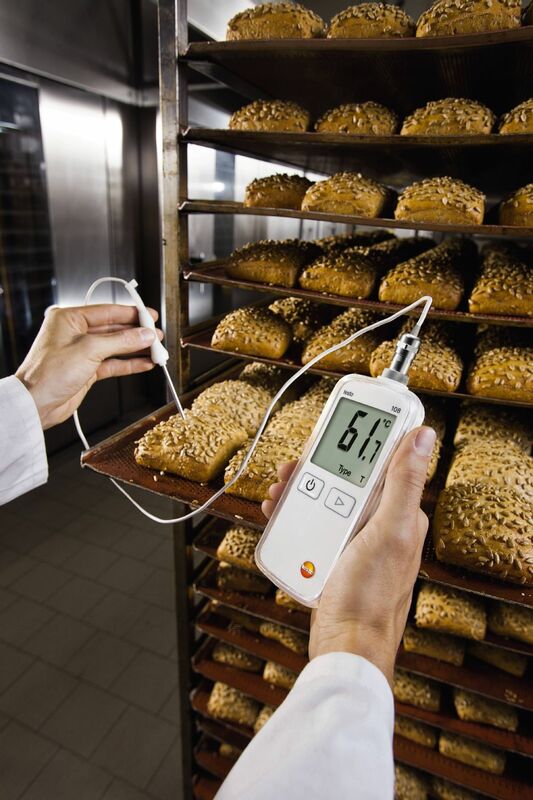 In the food sector, temperature measurements are part of the daily routine. 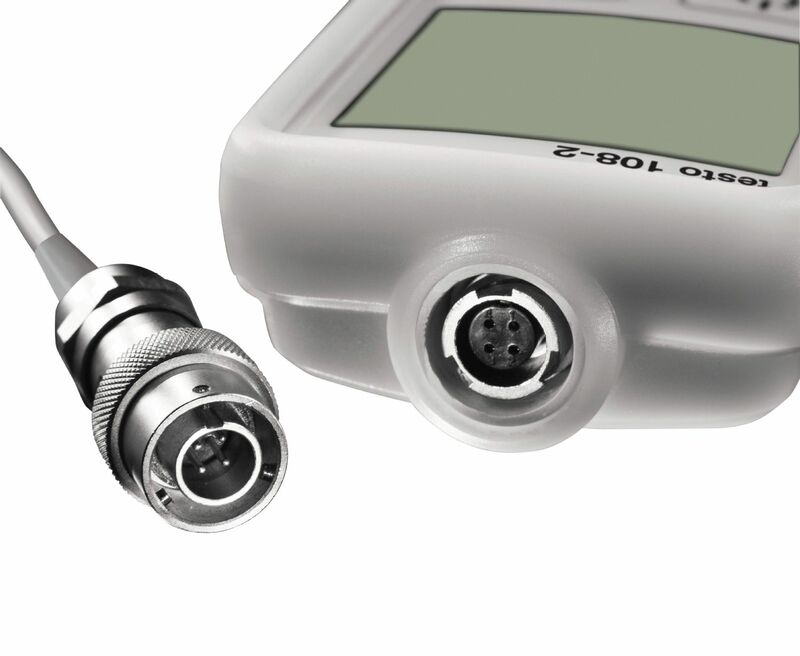 The only way you can thoroughly check and guarantee the quality of your products is with precise measurement. 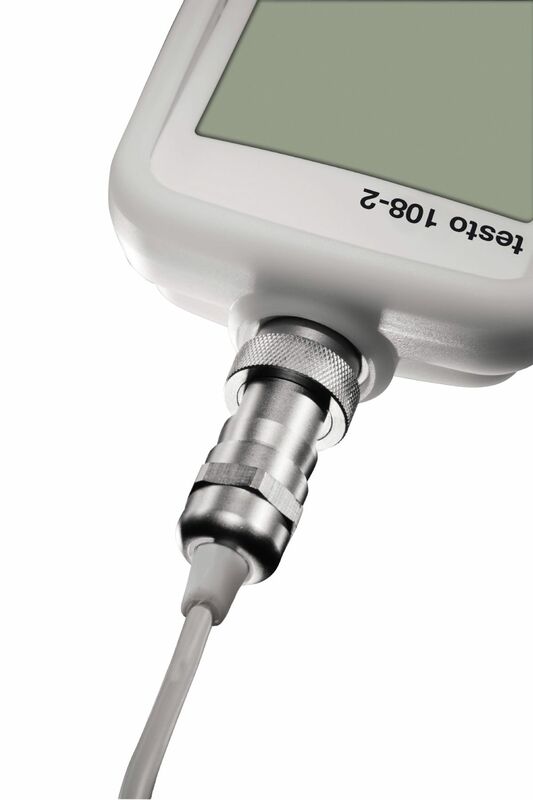 The testo 108-2 temperature measuring instrument allows spot measurements in seconds. For transportation and storage of food, in restaurants, in large-scale kitchens and in the food service industry. 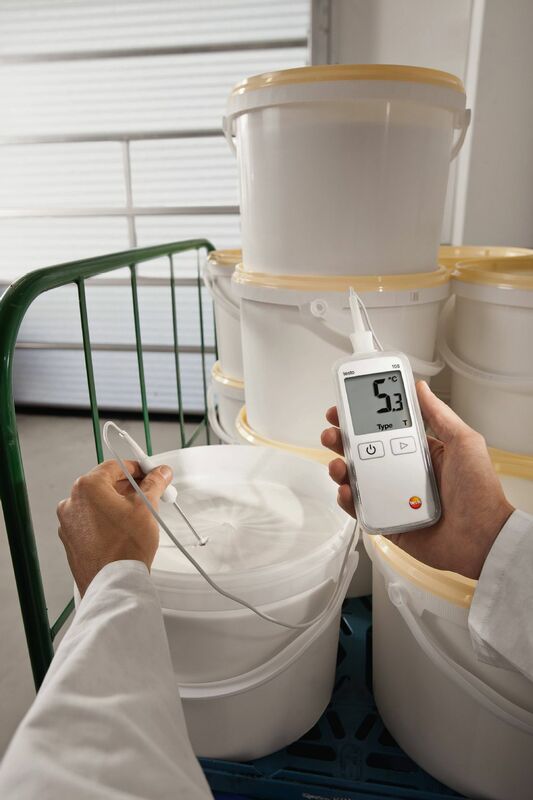 The testo 108-2 temperature measuring instrument allows temperature measurement to be integrated into daily work routines with no added complications. And you do not have to worry about the obligatory HACCP regulations. 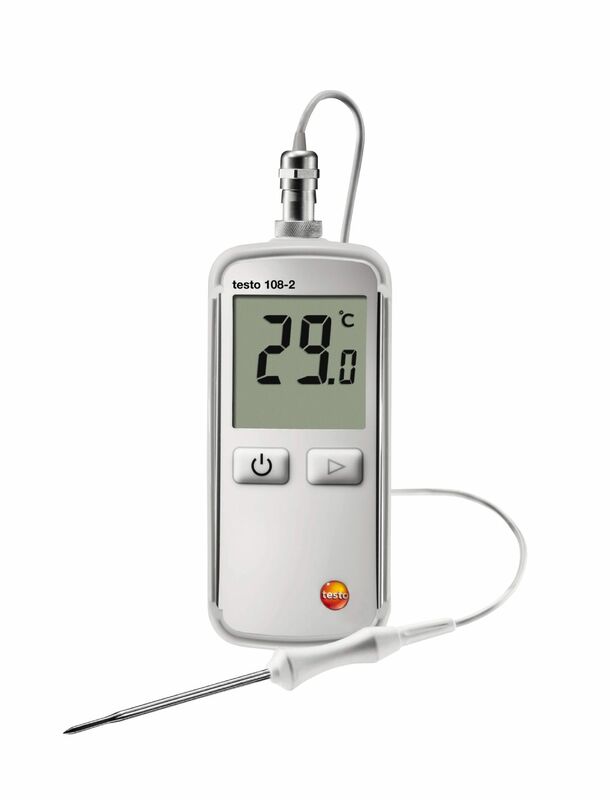 1 x testo 108-2 waterproof temperature measuring instrument (TC type T), including lockable probe (TC type T), softcase, batteries and calibration protocol. In the area of food production and meal distribution, the correct heating up and temperature of the food play a crucial role in terms of controlling germ/bacteria generation and reproduction on the food dishes, as well as controlling the consumption temperature. The temperature check measuring task for storage is to ensure that the temperature of goods complies with (statutory) regulations and that the goods can be “safely” accepted and used for consumption (maintaining the cooling chain). 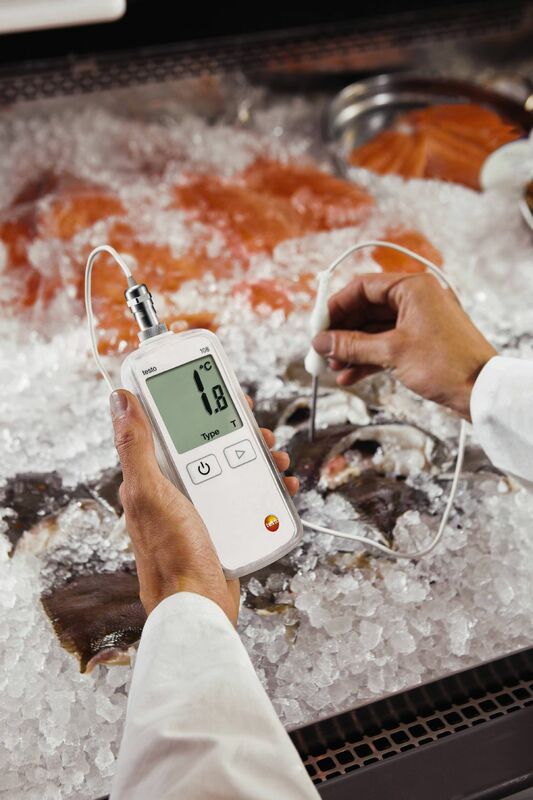 For contact measurements, a measurement is normally taken from between the products (carton packaging, frozen foods), and a core temperature is measured. In cases of doubt, a core measurement is of interest. Our frozen food probe 0603 3292 is inserted into the frozen food for this purpose. This refers to both storage in cold storage warehouses/refrigerated transport means and refrigeration for sales counters (e.g. in supermarkets). 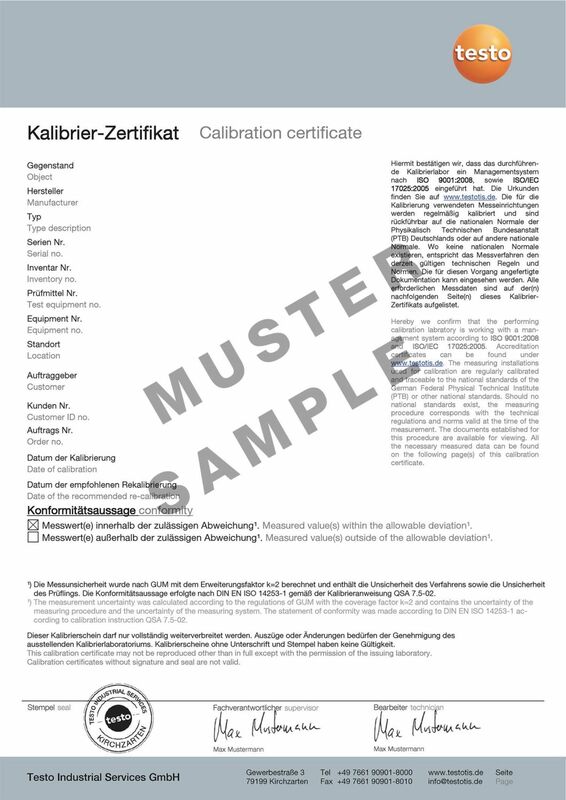 The temperature check measuring task in incoming goods is to ensure that the temperature of supplied goods complies with (statutory) regulations and that the goods can be “safely” accepted and used for further processing. 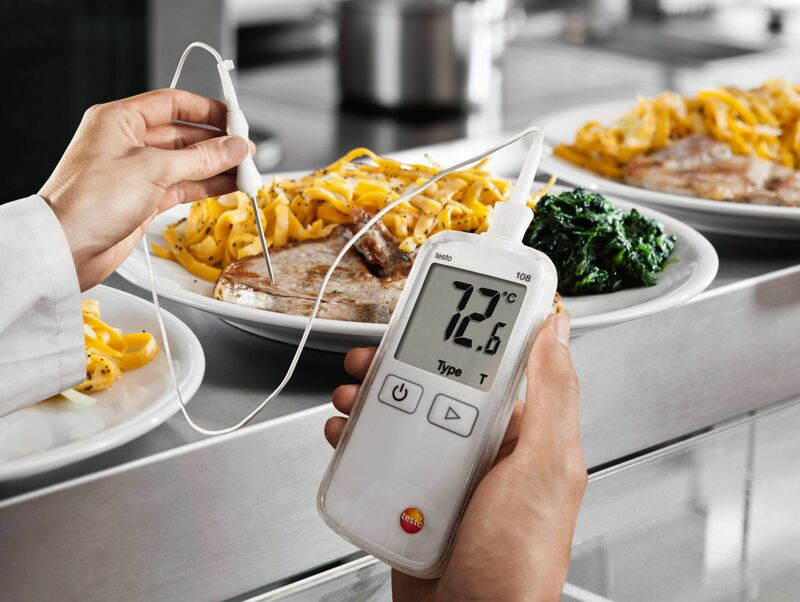 Both the temperature between the products and the core temperature of foods can be measured. 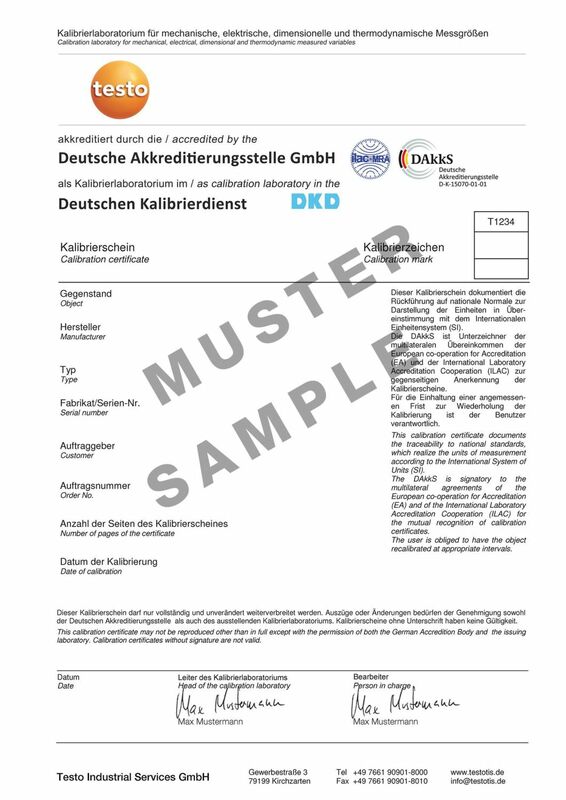 In most cases, data is entered on a form and documented for subsequent traceability. In addition to the measured value, the date, time and user are noted. If the temperature of the supplied goods complies with statutory regulations, these can be accepted and processed.